So, what exactly is enamel? Tooth enamel is a hard, outer layer of minerals, which covers each tooth. Although enamel is thin, it is the strongest tissue in our body. 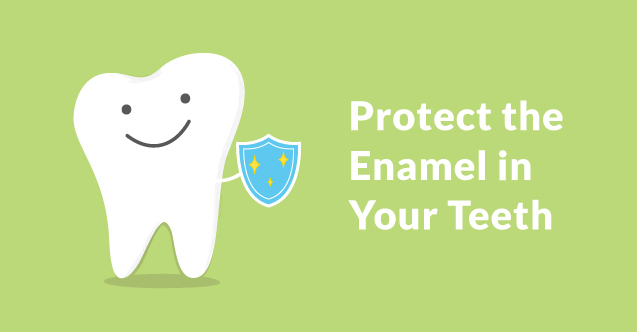 The enamel is like armor surrounding the tooth and is the frontline defense from external forces. The enamel is necessary to protect our teeth from the daily wear they experience from actions such as chewing, grinding, and even exposure to acidic foods. When tooth enamel begins to wear down, your teeth become less protected from cavities, acid erosion, and several other oral problems. While you may brush your teeth or limit your sugar intake to keep your teeth in good condition, nearly 91 percent of people between the ages of 20-64 have had at least one cavity. 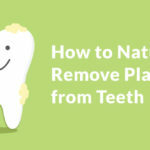 Taking care of the tooth’s enamel is an important part of your oral health. Tooth enamel is like an eggshell. The shell around the egg protects the yolk from both bacteria and infection that could cause the entire egg to rot. As acid builds up, enamel breaks down. When acids break down the enamel, your teeth lose minerals needed to keep them strong and healthy. Enamel erosion can expose the inner layers of your teeth causing sensitivity to both temperatures and certain foods such as candy, citrus fruits, and even pickled products. The inner layer of a tooth is made up of the dentin, pulp, and nerves. The inner tooth is extremely sensitive and without enamel protection, the exposed layer can cause serious pain and damage to your oral health. If you have ever had coffee or ice cream or other hot or cold food and felt a shooting pain in your tooth, the inner layer of your tooth could be exposed. Your teeth should be checked by a dentist as soon as possible to prevent further damage. 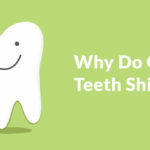 Since the enamel is the outer layer of the tooth, the appearance of our teeth is influenced by the health of our enamel. If your teeth seem dull or faded, weak enamel may be the reason why. As the enamel fades, the dentin is exposed, which is yellowish in color. While some people may rely on teeth whiteners to keep their smile bright, the overuse of certain teeth whiteners can cause the enamel to break down. Teeth whiteners affect people’s teeth differently and should not be applied unless your dentist has told you it is safe. Healthy teeth with a strong enamel are the least affected by whiteners due to the teeth’s strong defense around the sensitive and discolored areas of the tooth. When you break a bone or scrape your knee, your body is able to repair itself. Unfortunately, our bodies are not capable of restoring our enamel. Once there is damage done to the enamel, your teeth cannot repair or reverse tooth enamel damage. 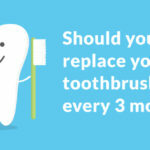 Along with routine teeth cleanings at the dentist office, taking care of your teeth should be routinely done at home. Floss your teeth on a regular basis and avoid brushing too roughly. Hard bristles on a toothbrush can wear down the enamel layer and cause it to weaken over time do to harsh scrubbing and wear on the tooth. If there is damage already done to the enamel, the best solution would be to prevent further enamel erosion. Fluoride is the most recommended mineral for oral health because of its ability to re-mineralize the tooth. Fortunately, fluoride is found in most toothpastes and even some drinking water. 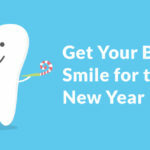 Be sure to ask your dentist how you can protect your teeth’s enamel as soon as possible. Early intervention can help prevent irreversible damage to your teeth and keep your smile looking bright.